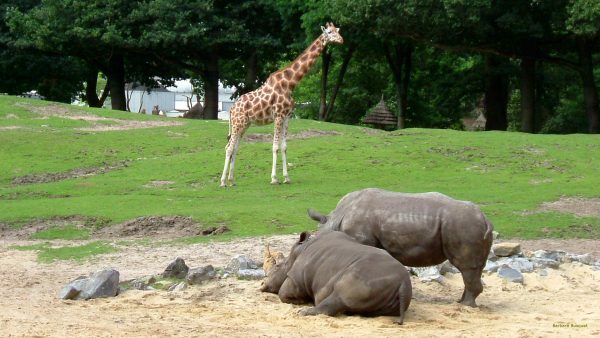 Photo of two rhinos and a giraffe in a zoo. 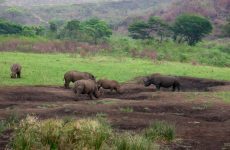 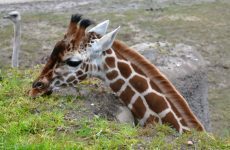 The rhinos lie in the sand while the giraffe walks in the grass under the trees. 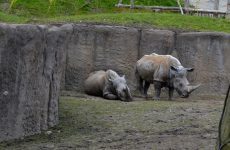 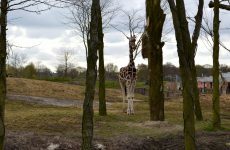 HD wallpaper with two rhinos and a giraffe in a Dutch zoo.